So today is my graduation. 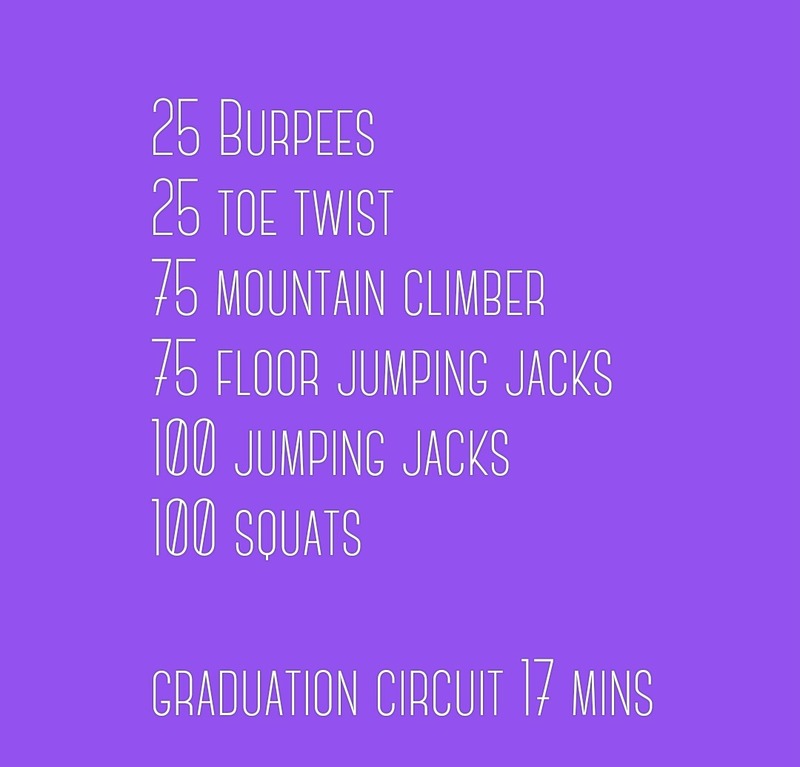 I got up and did a minor circuit to get my workout in. I made it through a masters program. Yay! I wanted to lose 50 lbs by graduation I set out to do this January 7th, 2015. Actually I hit the goal a few days ago but celebrated to soon. I then proceeded to eat candy, chips , ice cream and Chinese food. At the moment it was good but I felt some guilt the next day. I am 189lbs from 237lbs so thats 48lbs. I feel like a loser because I thought when I stepped on that scale this morning it would say 187 but it didn’t. I feel like a warrior because I didn’t think I would make it pass 10lbs. This has been a great weight loss experience thus far even though there were times I wanted to smash the scale, karate chop my boyfried for eating fat juicy burgers in front of me and slap anyone offering me goodies when they knew I was trying to stay away from those things. I learned that I can push my self, I learned I hate burpees, I learned I hate yams, I learned I love weights (less than 10 lbs lol hey I am a amatuer), I learned I love beets (blended of course)… I can go on. A new personal goal has been set. I would like to be 162 lbs by September 2015. But today I am gonna grub , recover tomorrow and be back at it on Monday. Have you ever felt like you lost but still felt good any way?